Chicken pox is an infection caused by virus. The early symptoms in adults are loss of appetite, aching muscles and headache, fever. It starts with a skin rash in the body and the head and also ulcers in the oral cavity and the tonsil areas. It can be very itchy and the broken vesicles can sting accompanied by fever and headache. It is an airborne disease which spreads through coughing or sneezing or through direct contact with secretions from the rash. It is better to put gloves in hands and also trim the finger nails to stop scratching as it can lead to further infection. There is no actual cure to the condition but one can relieve the symptoms by medications. You can add ginger powder to your warm water bath. This will reduce itching. Also for intake you can crush the ginger, boil it in water then strain it and have the same. Ginger has got anti inflammatory properties which can alleviate inflammation. Anti histamine properties gives relief from itching. Its analgesic properties can give you relief from pain. The antiviral properties stop the virus from multiplying. The antioxidant properties boost the immune system and makes healing faster. However, ginger is not recommended for young children. 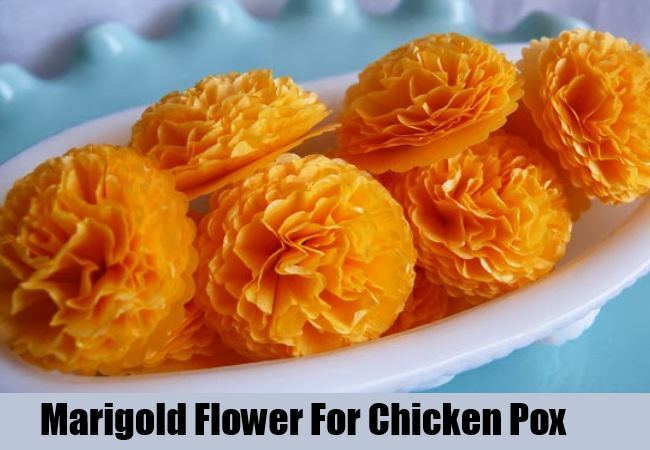 In a cup of water add one tablespoon of marigold flower and hazel leaves and soak it overnight. Grind it to make a paste and apply on the rashes. The anti inflammatory and astringent properties of marigold and hazel leaves will stop the skin irritation. The analgesic properties will give relief from pain. The antibacterial properties combat infection. The antioxidant properties make healing faster. Prepare an herbal tea of Chamomile, Holy basil and lemon balm and have it regularly. The anti inflammatory properties of the three will give relief from inflammation and itching. 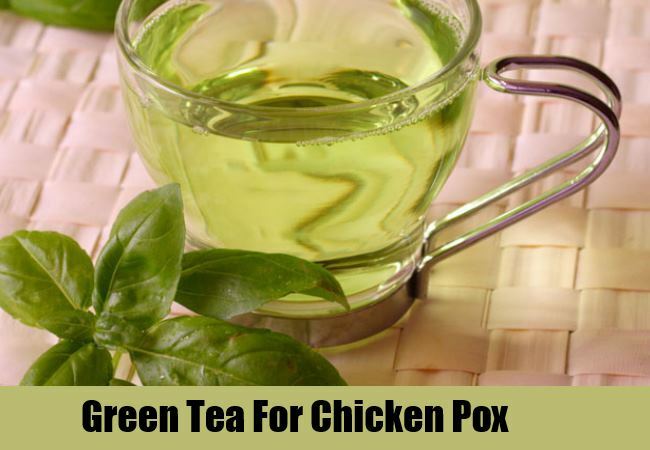 The anti viral properties of lemon balm and holy basil will stop the virus from multiplying. In addition, Holy basil has also got anti histamine properties which also prove beneficial for itching. The antioxidant properties of holy basil boost the immune system and makes healing faster. However, holy basil also is reported to have an anti fertility effect and should be avoided if a woman is trying to get pregnant. Also the combination of basil and milk should be avoided. Boil the green peas in water and strain it .Use this water to clean the rashes. 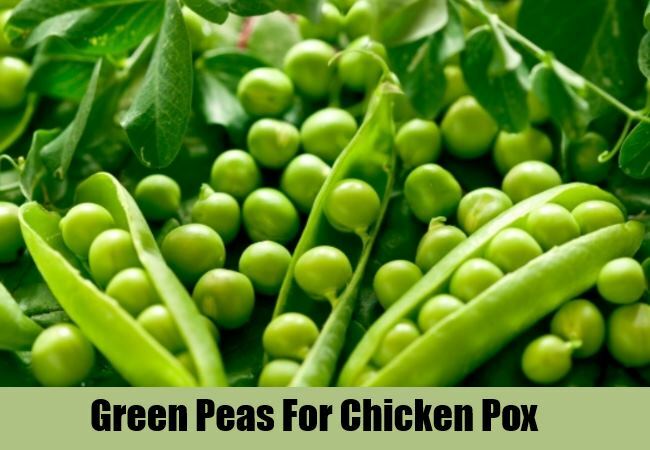 The nutrients in peas have anti inflammatory properties which will give relief from irritation and itching. It is rich in vitamins and antioxidants which help the body develop resistance against infections. 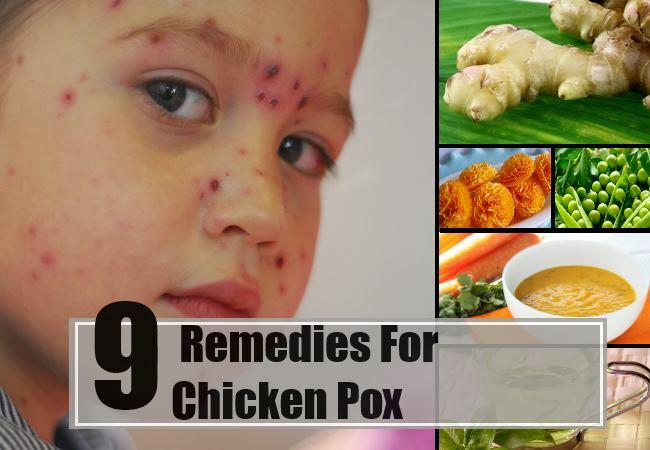 All these properties make it beneficial for treating chickenpox. 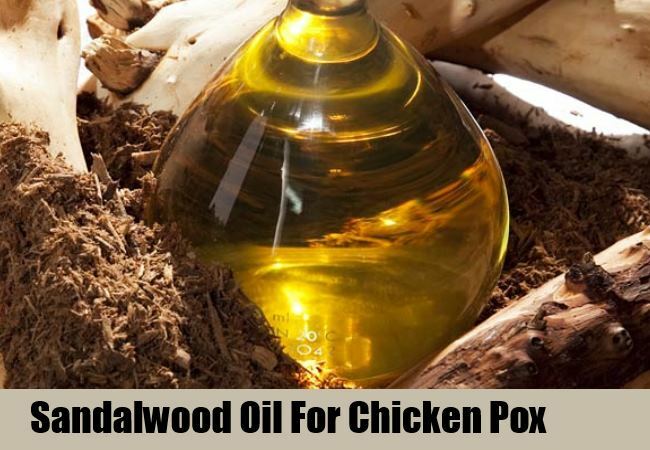 Application of sandalwood oil regularly will not only treat rashes but also prevent the scars from blemishing. The astringent and anti inflammatory properties will relieve itching and inflammation. As an emollient it helps to soften and soothe the skin. You can add neem to your warm water bath. 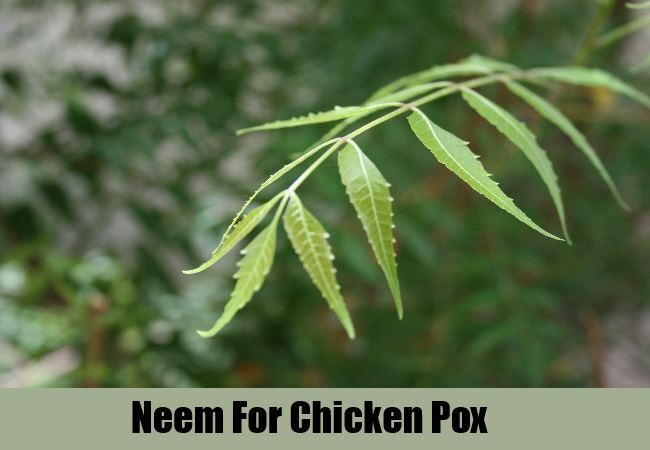 The astringent and anti inflammatory properties of neem will give relief from itching. The antiviral properties will stop the virus from multiplying. It is a good antioxidant which makes healing faster. Blend some oats in the blender and turn it into powder. Then start running hot water into the tub, to it add oats and swirl around. Then add cold water to get the right temperature for bath. The water will turn milky and have a softer feeling. 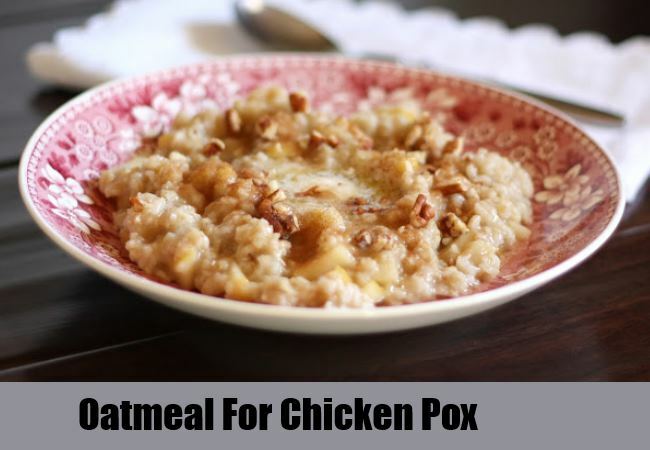 Oats contain betaglucans which boots defenses of the immune system against bacteria, fungi, viruses and parasites. Bathing in this water stops itching sensation immediately. People with allergic reactions to gluten are recommended not to use oats. 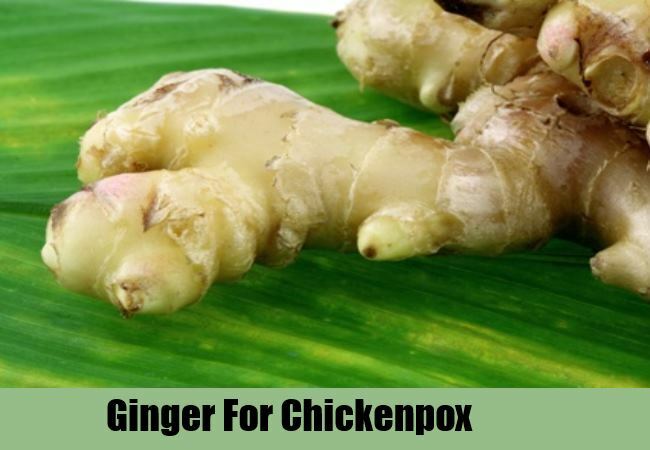 This soup is beneficial in treating chicken pox. Cut them into pieces, boil them in water. Then strain and allow it to cool. Drink this soup once in a day for a month. Both carrot and coriander has got anti inflammatory properties which alleviates inflammation such as itching. The anti oxidant properties of both makes healing faster. The antiviral properties of coriander will stop the virus from multiplying. 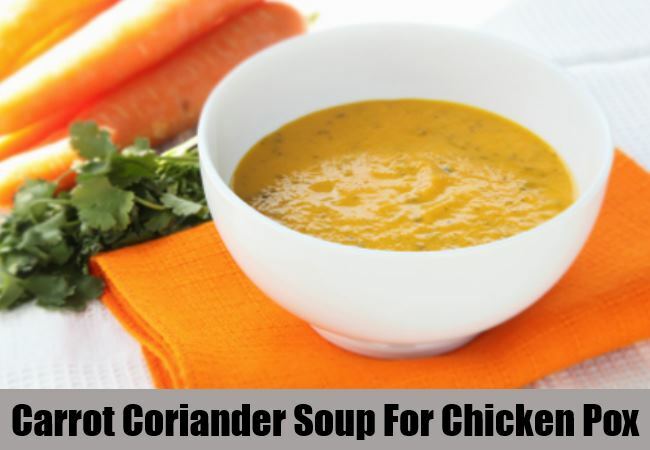 Coriander has got analgesic properties which are beneficial for getting relief from pain. Regular application of raw honey to the rashes proves beneficial in chicken pox. The anti inflammatory properties give relief from itching. Antiviral properties stop the virus from multiplying. Analgesic properties give relief from pain. ntioxidant properties boost the immune system thus making heal faster. The moisturizing properties help to maintain the skin soft, thus reducing itching.